The recent article, “Despite wins, Minnesota’s endangered species list up by 180” (Aug. 20, 2013) quotes the Department of Natural Resources’ (DNR) endangered species coordinator as stating, “We’ve got to learn how to manage species on a larger scale. ”The state’s list of species that have gone extinct and of those that are endangered and threatening to go extinct has grown tremendously. One of the first steps in the large-scale management referred to by the DNR is to keep in place the vital assets already provided by nature. This is particularly relevant to the Minnesota wolf population. A Romanian proverb says, “Where wolves roam, forests grow.” Having wolves on our landscapes and ecologically active is vital to maintaining the natural balance for all wildlife. There is ample science and thinking that supports this management strategy, and innovative new ways to reduce wolf conflicts with livestock, including nonlethal methods (only 2 percent of the Minnesota farms in wolf country have experienced wolf problems with livestock). As far back as the 1920s and ’30s, University of Wisconsin scientist, ecologist, forester and environmentalist Aldo Leopold established visionary wildlife management theories that rightfully viewed wildlife issues within the greater ecological system of nature. In 1949, he proposed that a natural predator such as the wolf has a major residual impact on plants; river and stream bank erosion; fish and fowl; water quality; and on other animals. In other words, the wolf is a keystone species. Leopold’s trophic cascade concept articulated emphatically that killing a predator wolf carries serious implications for the rest of the ecosystem. Later, that concept was endorsed by former Secretary of the Interior Bruce Babbitt. • The presence of wolves helps plants and tree growth by affecting the browsing behavior of deer, especially along stream and river banks• Wolves keep habitat healthy for birds and fish, many of which are now threatened with extinction. • Groundbreaking work by Oregon State University professors William Ripple and Robert Beschta in Yellowstone National Park has shown Leopold’s principles to be true; the reintroduction of the wolf improved the Yellowstone River wildlife and ecosystems. • Their work has relevance in Minnesota. Although the ecosystems are dissimilar, the wolf still plays a major role in both places and is Minnesota’s ally to slow species extinction. It is unfortunate that the DNR does not treat the wolf as a valuable asset for the large-scale needs of so many other species. The DNR proposed to remove the wolf as a species of special concern the same year the wolf was removed from the federal endangered species list. Yet no baseline population survey was done before the wolf was proposed to come off the state’s list or before the hunt. And it’s unclear: Who exactly supports the hunt? Even before the first wolf hunting and trapping season in 2012, the DNR’s own online survey indicated that a hunt was opposed by 79 percent of respondents. If we look at the DNR’s published numbers, our wolf population is already 25 percent less than it was at last count in 2008. It had been stable without a hunt from 1998 through 2008. Today, we have the lowest number of wolves reported since 1988. 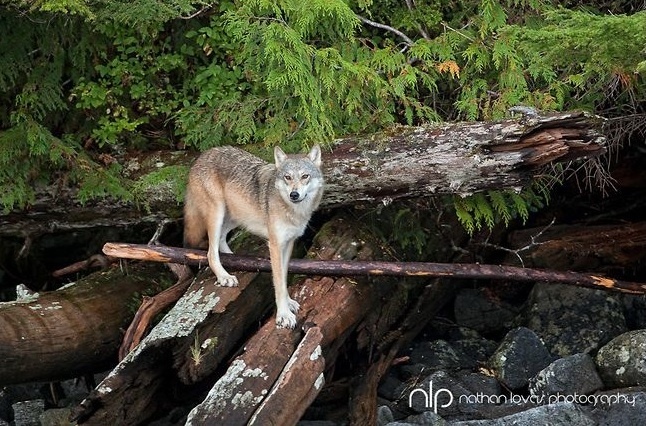 The wolf’s removal from the list of species of special concern has made it solely a game species and not in the category of a nongame wildlife species to be protected. With so many other species whose existence depends on the presence of the wolf, it behooves the DNR to follow its own Wolf Management Plan. That plan’s stated goals are to ensure the long-term survival of the wolf in Minnesota and to resolve conflicts between wolves and humans. Our state’s wildlife management resources need to be directed toward these goals. A wolf hunt — purely for recreation — does not accomplishment these objectives. Even without a hunt, wolves are killed that are perceived to be a threat. Nor is there a plan to support nonlethal prevention methods that work for reducing wolf-livestock conflicts. The rare and first Minnesota wolf-human attack aside, the wolves that will be killed in another hunting season are random and not necessarily causing problems. How does another wolf hunt this year ensure the future of Minnesota’s wolves and the wildlife whose existence depends on the vital role of the wolf on our landscapes?